Residents from Raby no longer have to travel all the way to the Sydney CBD to shop for furniture. No, an easy 13 minute drive away, you will find the best furniture store on the Australian East Coast, Leisure Lounges. The Leisure Lounges factory and showroom in Narellan are close enough to you in Raby that you can easily come and see all the beautiful pieces of furniture we have on offer. We have a huge showroom floor, where you can look at our wide range of lounges and other furniture at your leisure. If you don’t find exactly what you are looking for on our showroom floor, we can also offer you a custom made lounge that will be made to your exact specifications. 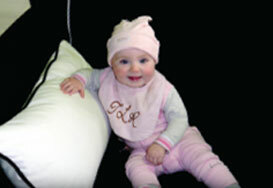 We have over 300 quality fabrics from the top fabric houses in the world for you to choose from. If you have your own fabric you wish us to cover your lounge with, we can do that for you as well. Residents from Raby can rest assured that for all our furniture, we use only the best quality, Australian sourced materials. From the solid timber frame to the Dunlop cushioning, we give you only the best. For this reason we are able to give you a full 10 year warranty on any lounge you buy from us. We even go further in delivering a great service to our clients in Raby. Some of our other services we offer are free delivery, an interior design and a reupholstery service. We invite everyone from Raby to come and see our beautiful range of custom made lounges and other furniture for themselves.